What is the code of your coupon Gift? At the time when you use your code according to event or season you will get the payoff on the packages you use. How can you redeem your gifted Coupon Code? web hosting packages from xbros hosting and you get the automatically payoff on the packages according to event and season. Simply purchase an annually plan from xbroshost you will get automatically free dedicated i.p which is good for you site S.E.O and as well as free domain which is highly benifical for your new launching service. What I have to do after using my coupon code? the half of actual rates. should probably consider hosting services from our competitors. 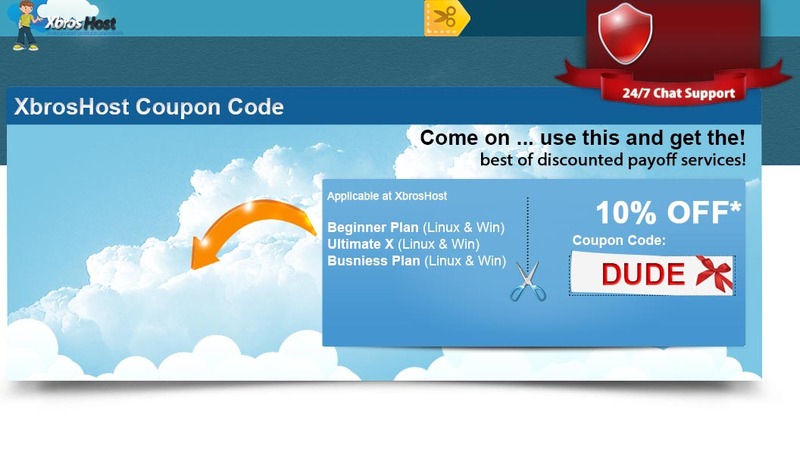 XBROSHOST is offering web hosting packages in 10% off discount rates. We provide you the onshore and offshore reseller We have variety of features in reseller which include WHM, WHMCS, support service, e-mail feature, streaming and many more.